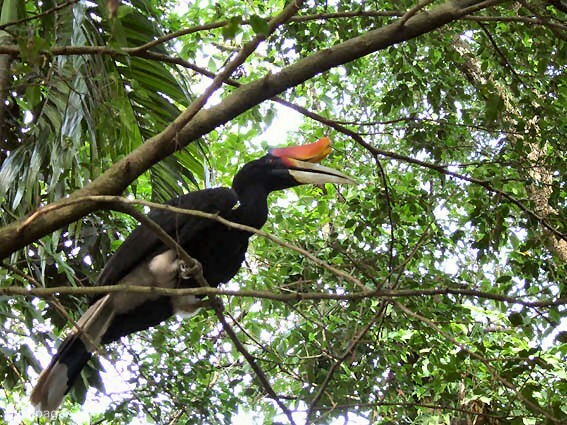 A month or more before mating, the male hornbill begins courting the female by bringing her food. 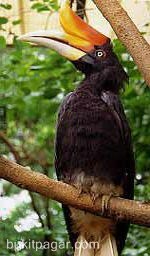 When ready to lay her eggs, the female will enter a nest hole high in the hollow tree. The pair will then spend two or three days plastering up the hole with the female's clay-like droppings - she on the inside, he on the outside �X using the sides of their bills as trowels.